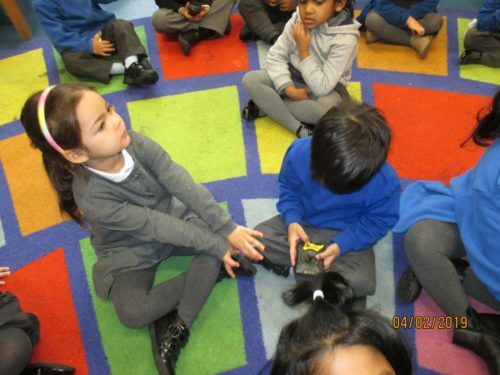 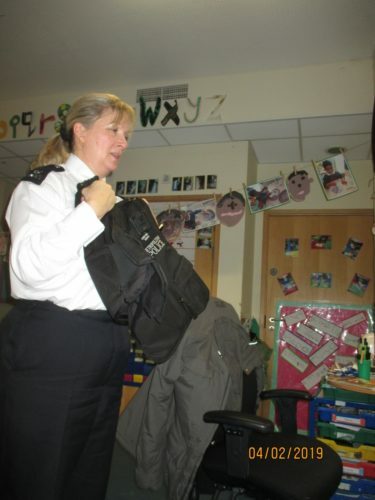 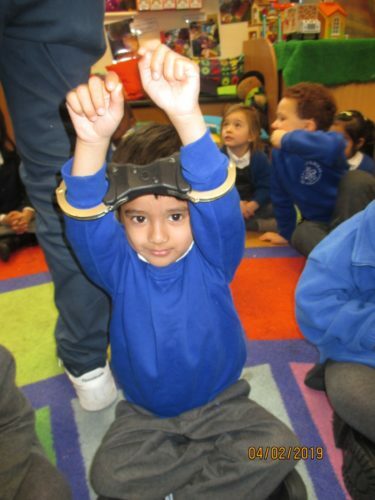 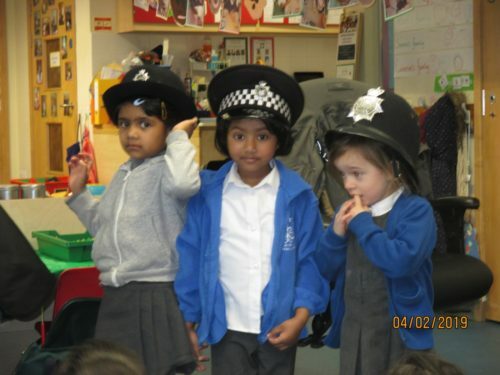 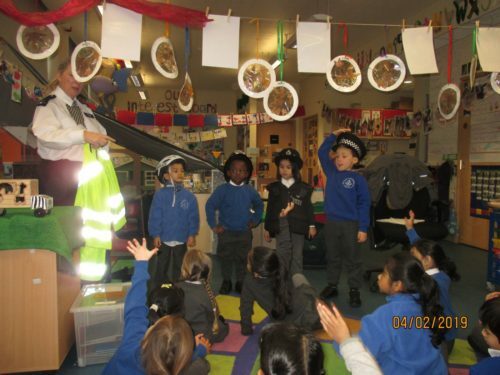 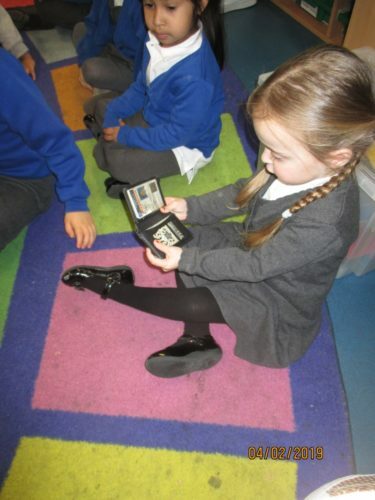 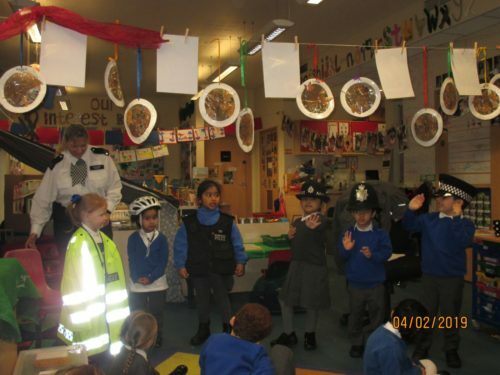 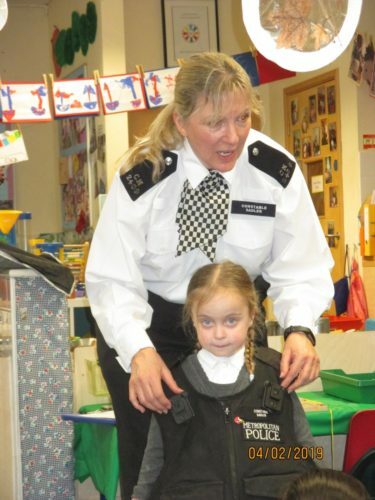 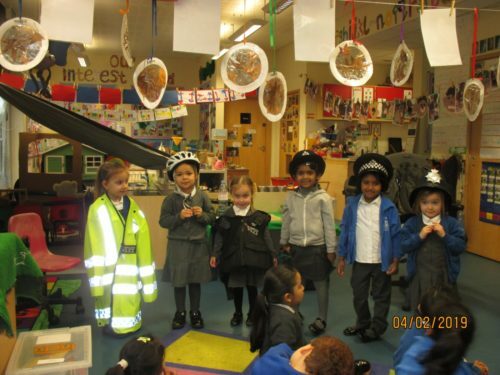 This week PC Tracy visited the Nursery. 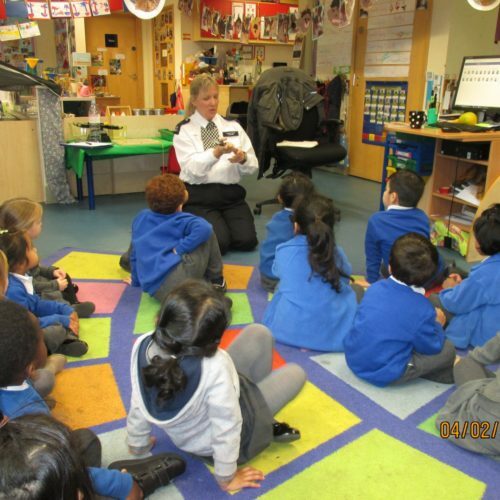 She spoke with us about how to know if someone is a police officer, what to do if you’re lost and what number to call for the police – ‘999’. 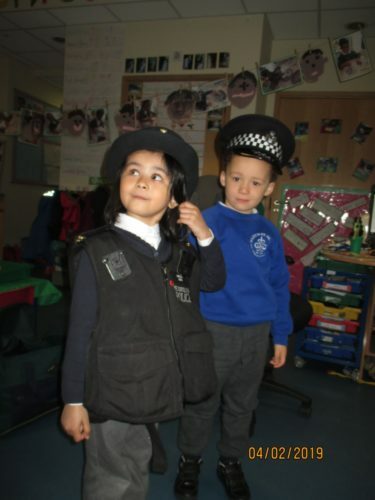 Our favorite part was looking at, touching and trying on different pieces of police equipment. 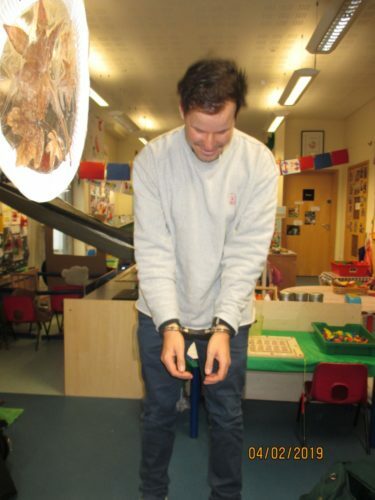 Jason even got locked up in the handcuffs!